HOUSTON — It’s not unusual for cheers to fill a school’s gymnasium for athletic stars, but Friday, Feb. 8, in the gym at Hardin-Houston Local Schools, there were cheers for academic stars, too. Students in grades three through six who have achieved straight A grades in the first two grading periods of the year were introduced to the crowds, who were there to cheer on the junior high and high school basketball teams in their efforts against teams from Fairlawn. Between the two games, 38 youngsters heard their names ring out over the loudspeaker. Thirty-eight youngsters walked across the gym, one at a time, to shake the hands of every school board member, their principal, the high school principal and the school superintendent. Those students represent the top 7 percent of students in their grades. Making straight A grades through a whole semester is not an easy achievement. The kids who did it got a standing ovation and plenty of cheers from their parents, friends, teachers and fellow students in the stands. 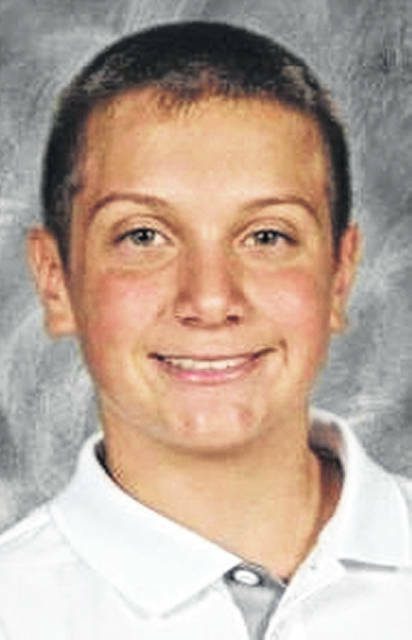 Two sixth-graders were recognized for the fourth time. Mason McDermit, 12, son of Tara and Gavin McDermit, and Addie Mowery, 12, daughter of Sara and Steve Mowery, had got those straight As as third-, fourth- and fifth-graders, too. This was the eighth year the school district has honored the elementary students in this way. It was an idea Superintendent Larry Claypool had brought with him when he took the reins of the district in 2011. “I knew it would be exciting for the kids to be recognized for academic success in an athletic environment,” he said, Friday. Elementary school Principal Sara Roseberry thinks students put in a greater effort, knowing that such an honor is available to them. “We have kids that work really hard. We like to be able to recognize their dedication,” she said. As each child approached the line of administrators, broad smiles lit up faces on both sides of the handshakes and fist bumps. High school Principal Ryan Maier and board members Jason Shaffer, Bill Clark, Joel Knouff, Christine Helman and Barri Grandey were as excited as the kids to participate in the event. Other students honored were third-graders Carmen Beaver, Davis Burks, Maison Epley, Elianna Harris, Trenton Hartings, Blake Heitman, Caden Hoellrich, Emma Koenig, Olivia Maier, Ava Mowery, Lacey Naseman, Kenleigh Nation, Hannah Ostendorf, Kaelyn Richardson, Claire Rust, Jaycei Seipel, Kaleb Sybert, Delaney White and Amber Young. Also fourth-graders Grant Cole, Madeline Deppen, Cracie Dershem, Kaia Kellersmith and Hailey McCorkle. Also fifth-graders Olivia Burks, Kasen Craft, Lauryn Crim, Ryleigh Hughes, Marissa McDermit, Anna Tauber and Makenna Vondenhuevel. 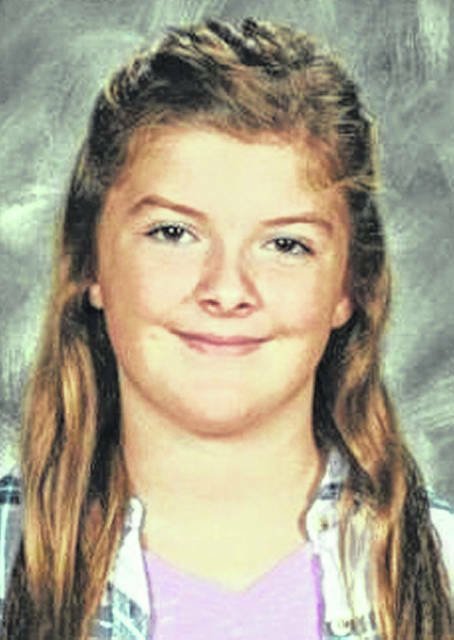 Also sixth-graders Emilee Earl, Lexi Hartings, Dylan Shaffer, Reagan Steiner and Chloe Webb.